Govino is an elegant and innovative take on the traditional wine glass. It is a new brand of stem-less wine glass, giving both the wine consumer and the wine industry a shatterproof wine glass that looks and performs like hand-blown crystal but at a fraction of the price. 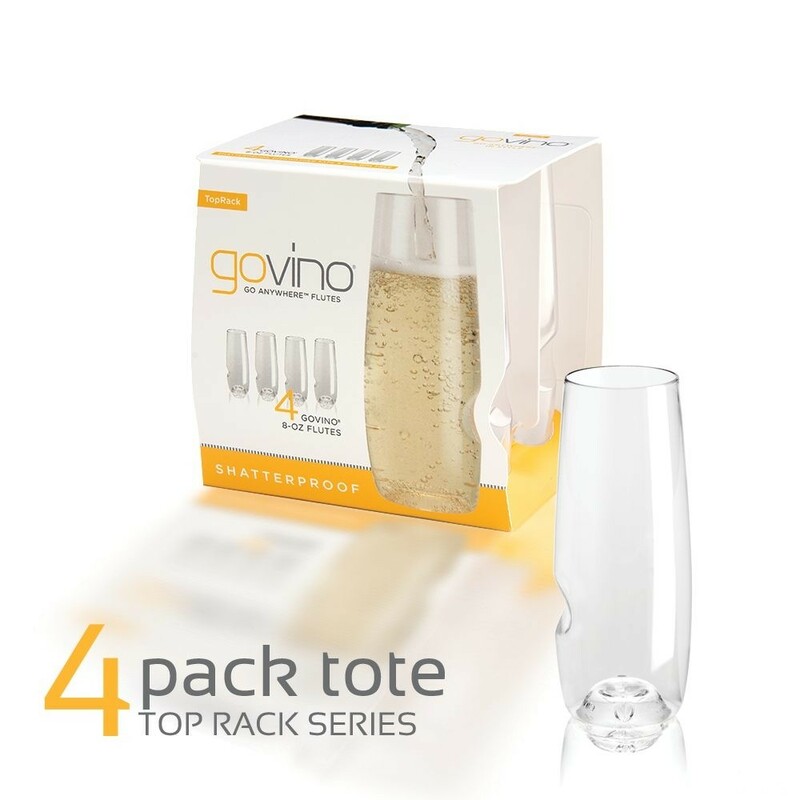 The govino wine glass is made of a high-quality, proprietary, food/pharmaceutical safe BPA-free PETG, which reflects the wine's color and aromatics much like crystal. The composition makes govino totally recyclable, but better yet govino is reusable. The ergonomic thumb-notch makes wine swirling easy and allows for a comfortable wine-drinking experience. The Govino Red Wine Glass has received numerous design awards including the 'Silver' medal at the 2010 International Design Excellence Awards and the Good Desing award from the San Francisco Design Institute.